The Nova Scotia Spirits Company crafts award winning, small batch spirits at great value. In a sea of large spirit producers, this small batch vodka stands out, similar to the rare blue lobsters found off our coastlines. 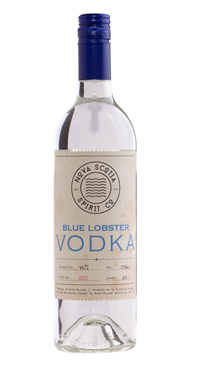 Blue Lobster Vodka’s 100% grain base lends itself to a slightly sweet, very clean, incredibly neutral flavour profile. The vodka’s premium quality comes from sourcing quality ingredients, while creating small batches with great care in Pictou County, Nova Scotia.